Establish Cacao agroforrestry systems that restore and conserve biodiversity for sustainable rural development to increase income and employment opportunities for small farmers. The El Salvador Cacao Alliance will help revitalize the cacao sector in El Salvador by creating partnerships among private companies, government institutions, research organizations and academic institutions. And it will work with key players to shape public policy, generate research and create incentives that support farmers. Our ultimate goal is to transform El Salvador into a well-known source of cacao for the specialty and gourmet segments of the international market. As part of the alliance, a four-member consortium led by Catholic Relief Services, and including Lutheran World Relief and TechnoServe, will carry out a 5-year, $34.4 million initiative to support cacao production on nearly 25,000 acres. The strategy will boost the incomes of 10,000 farm families and create more than 26,000 jobs. The alliance will create a national extension service for cacao producers, provide high-quality cacao seedlings and help small-scale farmers gain access to financial services. It will also establish post-harvest handling and storage facilities for crops and, through the implementation of agroforestry systems, adopt environmentally sustainable farming practices that include soil and water conservation. Catholic Relief Services was founded in 1943 by the Catholic Bishops of the United States to serve World War II survivors in Europe. Since then, they have expanded in size to reach more than 100 million people in more than 100 countries on five continents. Their mission is to assist impoverished and disadvantaged people overseas, working in the spirit of Catholic Social Teaching to promote the sacredness of human life and the dignity of the human person. Although their mission is rooted in the Catholic faith, their operations serve people based solely on need, regardless of their race, religion or ethnicity. Within the United States, CRS engages Catholics to live their faith in solidarity with the poor and suffering of the world. The fundamental motivating force in all activities of CRS is the Gospel of Jesus Christ as it pertains to the alleviation of human suffering, the development of people and the fostering of charity and justice. They are committed to a set of Guiding Principles and hold themselves accountable to each other for them. CRS maintains strict standards of efficiency, accountability and transparency. Last year, more than 94 percent of revenues they spent went directly to programs that benefit the poor overseas. Their work is about more than helping people survive for the day. Catholic Relief Services approaches emergency relief and long-term development holistically, ensuring that all people, especially the poorest and most vulnerable, are able to participate in the very fullness of life — to have access to basic necessities, health care and education — all within peaceful, just communities. In areas devastated by natural disasters and wars, CRS is often among the first on the ground providing water, food, shelter, protection from abuses and other basic needs. But their work does not stop there, especially during times of war or when disaster strikes in conflict zones. In the course of providing emergency assistance, they also address the root causes of conflict and help communities bring about lasting change and peace. Millions worldwide are unable to meet their most basic, daily needs for a variety of reasons. CRS takes a multipronged approach to combat chronic hunger and poverty. They address a combination of pressing concerns by mitigating hunger, developing agriculture, improving water and sanitation, developing sustainable work options, providing microfinance to support small businesses, and providing a safety net for those who have no other means of support. Lasting improvement in the lives of the poor cannot be achieved without education. Access to education for all, particularly girls and women, as well as improved quality of education are key components of CRS' work around the world. Equally important is community involvement in education, without which long-term, positive change is elusive. In much of the developing world, people have little access to health care — no clinics, no hospitals, no doctors, no medicine. Focusing on remote and underserved areas, CRS establishes community-based health care systems that give people the tools they need to manage their own health needs. Their community health programs focus on caring for those affected by HIV and AIDS; improving child survival, especially among orphans and vulnerable children; developing proper water and sanitation systems; improving nutrition; and advancing maternal and child health. The way they provide emergency aid and development assistance can actually prevent or transform conflicts. Peacebuilding, therefore, lies at the heart of all they do. Conflict resolution, education and prevention are integral to their work of development and emergency recovery. Part of peacebuilding also means strengthening civil society through civic organizations that help communities collectively advocate for their own needs. This, in turn, encourages good governance and holds governments accountable to their people. In this way, such tragedies as human trafficking can be halted and the most vulnerable are given the protection they need. CRS serves the poor and vulnerable overseas. Here at home, they work to help American Catholics put their faith into action, encouraging them to advocate for changes that uproot the unjust structures that constrain the lives of the poor and perpetuate poverty, conflict and inequality. Programs educate Catholics at home about the causes of hunger, help them foster economic justice through conscientious consumerism, and build peace and justice in the world by raising their voices in the halls of U.S. and international governing bodies. Serve Catholivcs in the United States as they live their faith in solidarity with their brothers and sisters around the world. As part of the universal mission of the Catholic Church, they work with local, national and international Catholic institutions and structures, as well as other organizations, to assist people on the basis of need, not creed, race or nationality. Established in 1999, the Howard G. Buffett Foundation (HGBF) is a private family foundation working to catalyze transformational change to improve the world and the lives of the most impoverished and marginalized populations. Their food security work is focused on agricultural resource development for smallholder farmers, and they support a range of interventions from research on improved inputs and practices to advocacy to promote the best ideas that will have the broadest impact on the most vulnerable and under-resourced communities. Their investments in water security are closely aligned with their food security priorities, with a focus on water resource management to support agriculture. Conflict and hunger are inextricably linked: conflict breeds hunger and hunger fuels conflict. They therefore invest in conflict and post-conflict countries to bring an end to conflict; to improve the conditions that fuel conflict; or to develop communities that have been devastated by conflict. The Foundation provides opportunistic support to augment the public safety capacity of all-volunteer fire departments and sheriffs’ offices in the rural communities where they operate, including Macon County, Christian County and Shelby County in Illinois; Cochise County in Arizona; and more limited support in Nebraska. The Foundation continues to make smaller investments in areas where they have deep knowledge and relationships including initiatives with cheetah and mountain gorilla conservation and support for projects in the local communities in which they operate. HGBF has worked in nearly 80 countries since 1999. Today they focus their work in three geographic regions: Latin America, and particularly El Salvador, Guatemala, Honduras, Nicaragua and Mexico; Africa, and particularly the Great Lakes Region, Ghana, Sierra Leone, Liberia and agricultural research in South Africa; and the United States. TechnoServe works with enterprising people in the developing world to build competitive farms, businesses and industries. They are a nonprofit organization that develops business solutions to poverty by linking people to information, capital and markets. Their work is rooted in the idea that given the opportunity, hardworking men and women in even the poorest places can generate income, jobs and wealth for their families and communities. With more than four decades of proven results, they believe in the power of private enterprise to transform lives. TechnoServe employs more than 900 people, the vast majority of them host-country nationals working in the field. Their staff combine business expertise with local knowledge, relationships and context to help hardworking men and women generate income, jobs and wealth for their families and communities. They work with enterprising people in the developing world to build competitive farms, businesses and industries. They will be the most effective catalyst and partner for transformative, on the ground, market based solutions to poverty. TechnoServe works with enterprising people in the developing world to build competitive farms, businesses and industries. 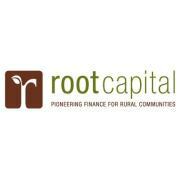 They help grow strong markets that create income and jobs in poor communities. TechnoServe aims to be a catalyst and partner at all points in competitive markets. They work with individuals and businesses to address market failures – the constraints that prevent a market system from operating efficiently. Develop Capacity: They help individuals and communities acquire skills, share knowledge and apply the technologies needed to build successful farms and businesses. Strengthen Market Connections: They coordinate among industry players and connect emerging businesses and farms to capital, networks and suppliers. Improve the Business Environment: They encourage self-sustaining economic activity by addressing the policies, information and incentives that help markets function better. 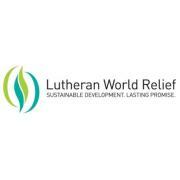 Lutheran World Relief (LWR) was created in response to U.S. Lutherans' desires to find ways to send aid to Europe after World War II. Every day in 35 countries, LWR works to combat the causes of poverty and the dignity it robs from people's lives. - They advocate for fair trade that helps farming families earn a better income. - They teach people to better care for themselves their communities and the environment. - They teach people how to be less vulnerable to natural disasters. - They advocate with and for them for policy change that more fairly represents them. - They counsel them after manmade and natural disasters, and help them recover with material aid. LWR is often present in a crisis long before, and after, the headlines. They do all of this exclusively with partners from the communities they serve. Their partners help them remain incredibly efficient and effective. Their partners let them help people help themselves, for a day when they won't need them at all. Their development projects focus on issues at the root causes of poverty. These debilitating causes tend to domino into more and more problems that trap people in poverty. By the same token, attacking just one of these issues can help break the cycle, making people’s lives better and freeing them from suffering in many ways. LWR works with local partners to improve rural communities’ access to water, digging wells and drilling boreholes, building and restoring irrigation systems, providing clean drinking water during emergencies, and training communities on sanitation practices and water management. Emergencies take many forms, and they can change life in an instant. When disaster strikes, LWR is there, providing life-saving relief and support to those most in need. And LWR’s response continues long after the headlines have faded, working with communities to rebuild their lives, recover their livelihoods, build resilience and pave the path to a brighter future. LWR is a signatory to the Code of Conduct for NGOs in disaster relief and serves those in need regardless of race, religion or ethnicity. In the countries where LWR works, agriculture is the backbone of rural life and of the economy. Almost everyone is a farmer: 70 or 80 percent of the labor force work on small farms. Yet despite the important role small farmers play in the world’s food production, they rarely benefit much from their labor. LWR works with small-scale farmers to increase their food security and their participation in the agricultural value chain: helping them access credit, learn about improved agricultural inputs and techniques, increase their yields, access markets and, ultimately, improve their incomes — so the people who feed the world don’t have to worry about feeding their own families. Lutheran World Relief helps rural communities adapt to the detrimental effects of changing weather patterns by focusing on agricultural techniques that make the best use of the land and water resources available. LWR is also increasingly incorporating mitigation activities like reforestation and alternative energy technologies into its climate work. And with natural hazards like floods, droughts and severe weather ever more frequent in a changing climate, LWR also implements Disaster Risk Reduction (DRR) programs on the principle that an ounce of prevention is worth a pound of cure. Investment in prevention now saves money on relief costs later; and by addressing the root causes of vulnerability, we can actually reduce these events’ impact on communities. Diseases like malaria and HIV disproportionately affect people living in poverty. While being poor makes individuals and communities more vulnerable to the disease, its direct and indirect costs can also cripple economic vitality, and have lasting detrimental effects on local livelihoods. LWR works both to educate people about malaria and other diseases of poverty and to improve their economic situation so they are able to access health care services. By improving health care access and availability and ensuring proper use of preventive measures like bed nets, LWR is helping stem the tide of malaria and other devastating diseases. In many of the rural communities where LWR works, people may not be aware of some of their basic rights as citizens. Grounded in the belief that the only lasting way to eradicate poverty and injustice is for impoverished communities to exercise their rights, LWR educates and empowers marginalized people to raise their voices, advocate with their governments, and participate in the decision making processes that affect their lives.